Can I Re-Roof Over an Existing Roof? Springfield Smart Safety gives you years of experience designing, engineering, building and installing customized fall protection systems. Not to mention solutions for equipment condensation issues, natural daylighting, hoisting equipment, and complete envelope evaluation processes. Our goal is to protect your investment in people, property, plant and equipment by building Smart Safety systems that fit your facilities, easily adjust with changing environments, and last as long as you need them to. For example, to provide trained and authorized employees safe access to multiple levels for routine maintenance activity, multiple-layer platforms might be required. 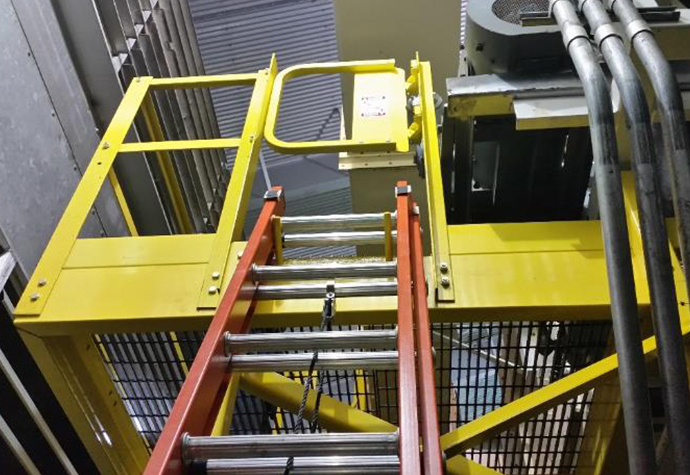 Connecting a portable ladder to a Springfield LadderAnchor™ installed on the lower level platform allows for safe access to equipment. Climbing the ladder and entering the platform through the safety swing gate protects employees for all work on upper and lower levels. Optimal fall protection for elevated work in tight spaces: this worker has placed a portable ladder in Springfield’s exclusive, patented ladder bracket. 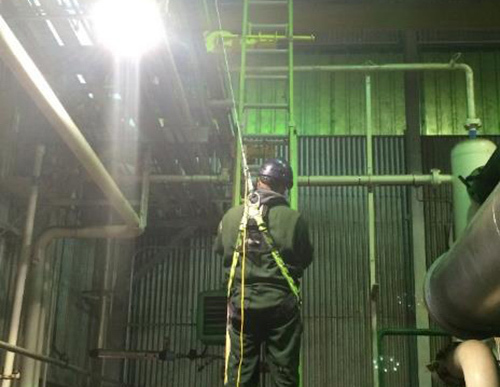 He then pulled down a self-retracting lifeline (SRL) and attached the carabiner to a body harness before ascending the ladder to the platform and attaching the required personal protection equipment (PPE) to horizontal lifelines. 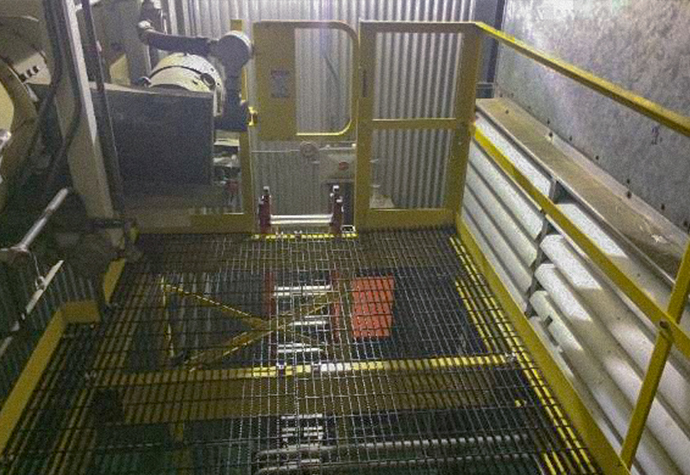 This solution combines safe access to platforms with flexibility and economy. Installing concrete footing and additional structural support for a catwalk is one way to make an existing elevated work platform safer. We’ll keep you updated with articles, news, new products, and industry expertise.